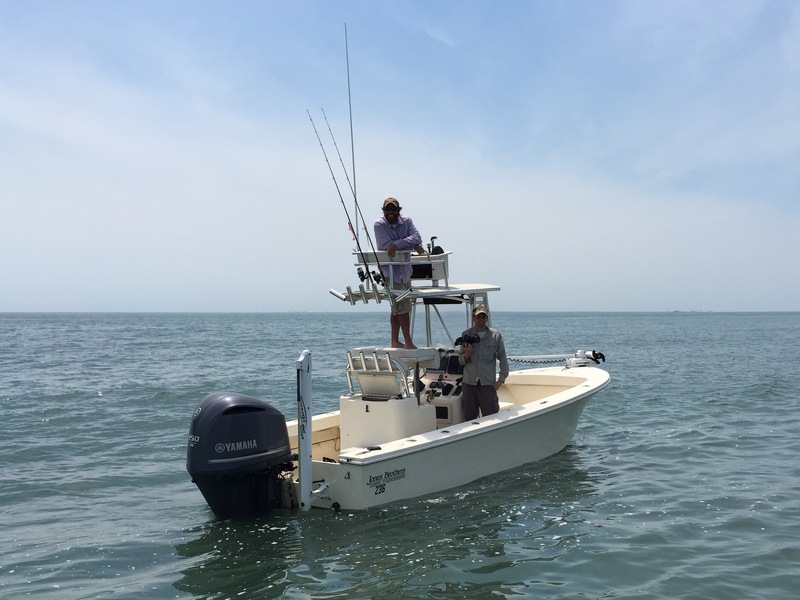 High highs and low lows is how I would describe week two in our quest for trophy red drum. 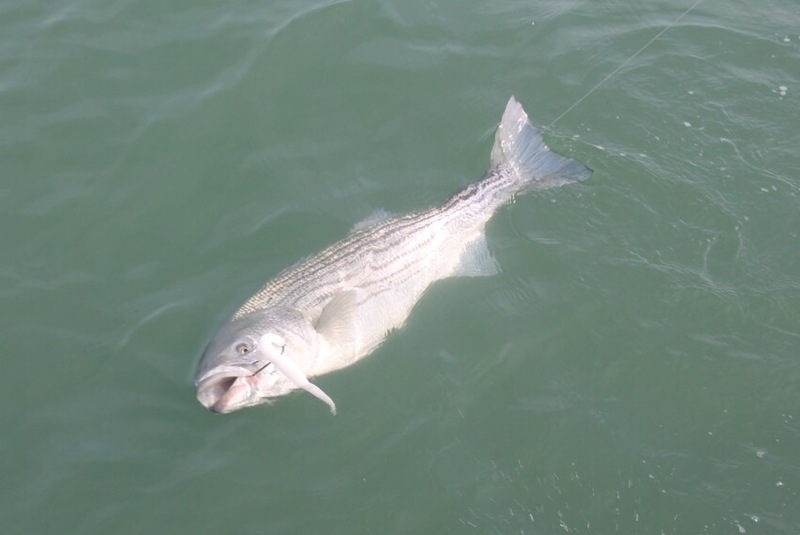 Stripers have filled in the gaps at times but there have been periods of tough fishing as well. 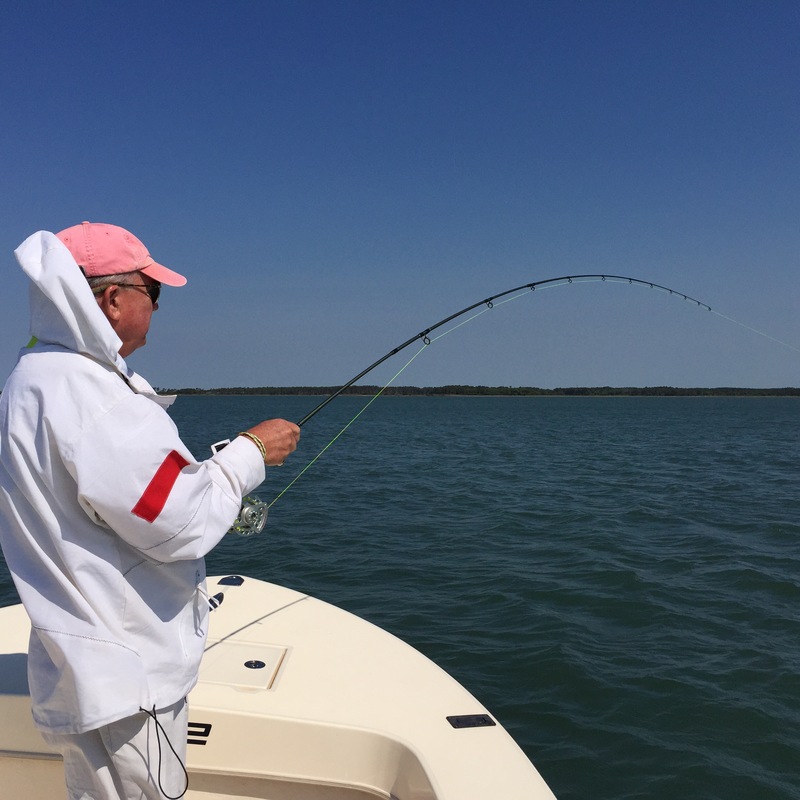 Drum have been elusive this season for lure fishermen. The wind and muddy water has had a hand in our low drum count. 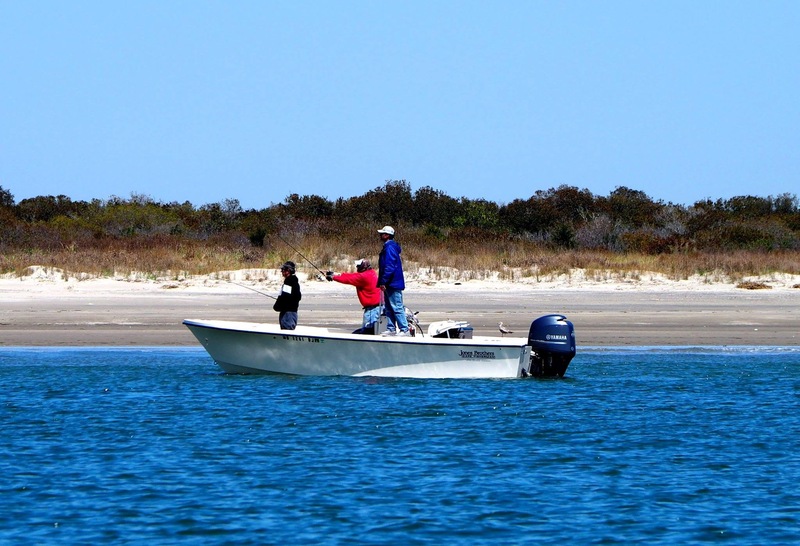 I have also enjoyed a front row seat as to the benefits of a tower with this type of sight fishing. Especially since my aging legs have been telling me that repeatedly jumping up onto the top of the center console, for better visibility, is not in their best interest. 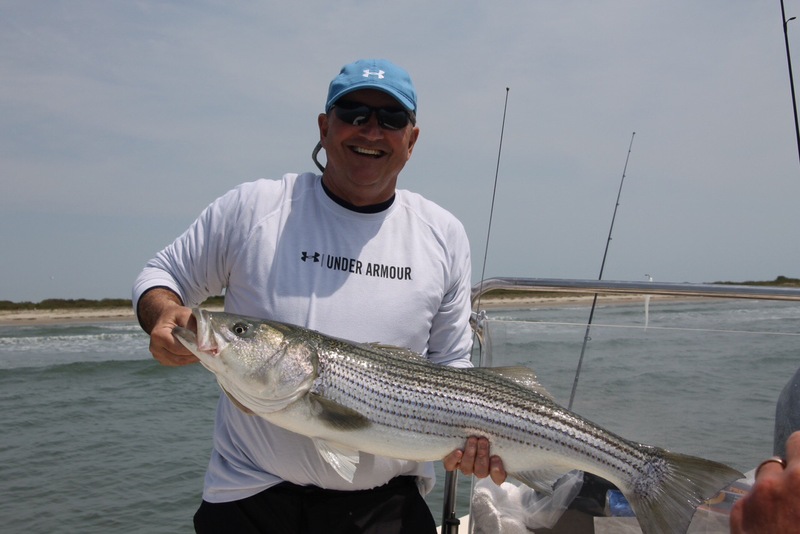 We did have a few days of excitement with fast moving stripers in very shallow water. 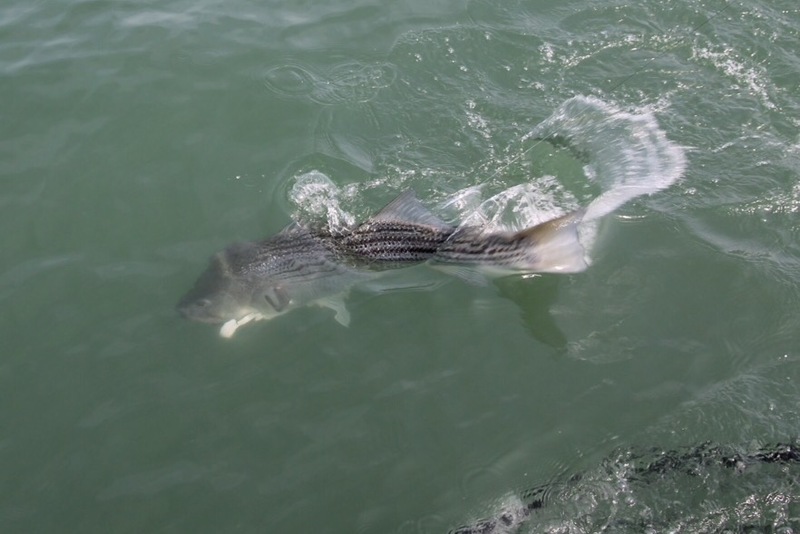 Once you sight cast to a pod of 45″ rockfish in crystal clear water you won’t ever want to go back to the LTJ crowd! 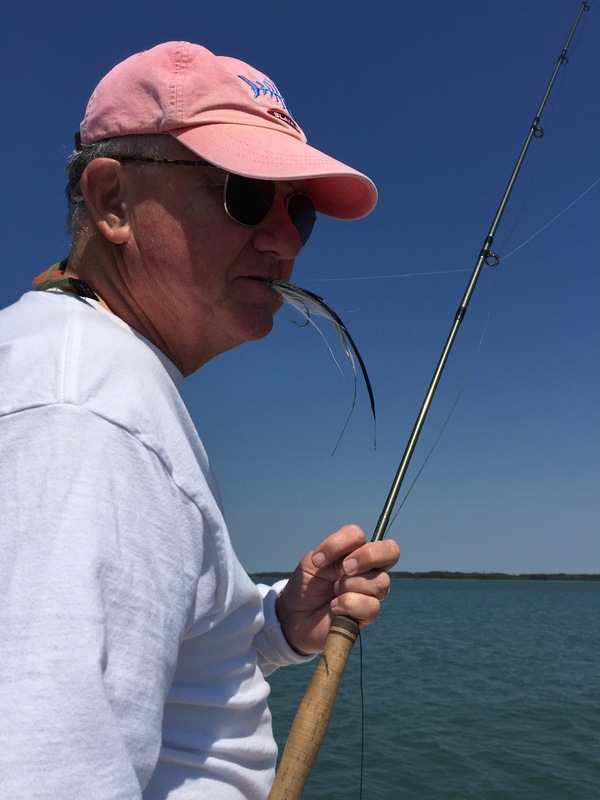 The Hogy Original in 10″ has been the lure du jour. 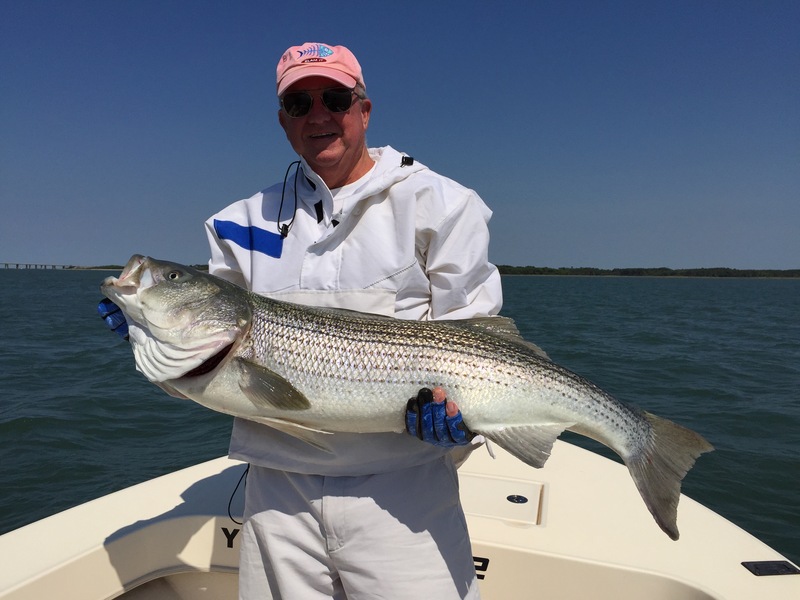 The highlight of the week was a 47″ striper landed by Burgess Kegan on a Shore Tackle custom 8-weight fly rod! We hope to end this third week on a drum note! Photo credits author, Ron Long and Barry Truitt. Went with Pete yesterday and we got 7 specs. Gin clear water swift current. Guess they couldn’t resist. Great to hear about the specks. I’ll be out Tuesday giving it a try. Thanks Dave.